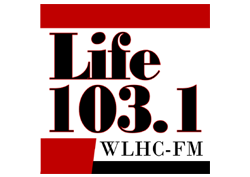 Buddy Michaels, one of the most popular Bluegrass DJs in the Southeast, is now on WLHC-FM Life 103.1 Saturday mornings from 7am – 9am with his radio show, “Hometown Festival.” The show is broadcast from the station’s studios in Sanford and transmitter site in Moore County, NC. “Hometown Festival” features traditional and contemporary Bluegrass, including local Carolina talent. Michaels was born in Suffolk, Virginia, just across the state line from Gates County, North Carolina. He blends his folksy style with lots of music and some colorful bluegrass culture. Michaels’ grandfather’s fiddle playing and his daddy’s “buck dancing” were the beginning of his bluegrass career. “Around 7 or 8 years old, I remembered seeing Flatt & Scruggs on TV. I’ve been hooked on bluegrass ever since,” said Michaels. Michaels’ radio DJ debut was in 1973. He played a variety of formats, including Country, Gospel, Rock and Roll, and finally, a Bluegrass show in 1978 on Burlington’s WPCM-FM. 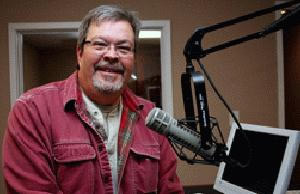 He has also appeared on WBAG in Burlington, WKRX in Roxboro, and now WLHC Life 103.1 in Sanford. Throughout his career, Michaels has promoted Bluegrass, mostly by playing records, doing radio interviews, and emceeing local festivals. He has appeared at the Bass Mountain Festival for 27-years, Merlefest, Willow Oak Creek, Preddyfest in Franklinton, and Bluegrass Festival in Bear Creek. Michaels was recently nominated for Bluegrass DJ of The Year for the upcoming Society for the Preservation of Bluegrass Music Awards.